Markem Imaje thermal transfer printer, label printer and film coding. For over a decade, Markem-Imaje has pioneered thermal transfer coding technology. 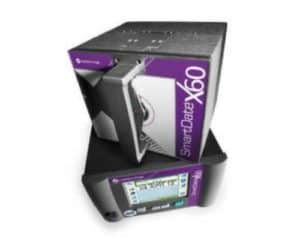 Their comprehensive SmartDate® printer Series of coders provides the most reliable high quality codes, best date, logo & barcode printing on flow-wrappers, bags, tray seals, pouches, sachets, vacuum packs or labels. 8018 Thermal Transfer Printer manufacture by Markem Imaje which delivers a new level of efficiency and quality to developing coding markets. Companies looking to improve their corporate image and profitability can replace existing manual hot foil technology with real-time digital coding (barcode). 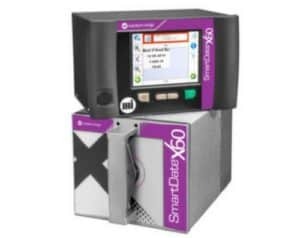 The SmartDate X40 thermal transfer TTO printer by Markem Imaje represents a transparent, advanced coding solution including long-term cost control, planet-conscious design, greater uptime and increased performance on the line even in harsh environmental conditions. Markem Imaje Thermal transfer TTO printer SmartDate X60 designed for the most demanding, high-volume applications, the SmartDate X60 delivers high resolution thermal transfer printing at ultrafast speeds. Its long-life thermal can print 300 dpi codes on flexible packaging film at more than 350 packs per minute. The new SmartDate® X60/128 thermal transfer TTO printer by Markem Imaje delivers consistently high quality coding in wide formats up to 128 mm, ideal for nutritional labels, ingredients and multi-pack applications. Proven SmartDate technology ensures efficient printing at high speeds up to 700 mm per second. Thermal Transfer SmartDate Series printer delivers high quality printing on flexible packaging films, foils and labels for continuous and intermittent operations, at the fastest print and acceleration/deceleration speeds. They include multiple ribbon saving features. Markem Imaje always delivers high quality equipment to give their client the best solutions for coding machine, marking machine and branding machine. Contact Al Thika for further assistance. Al Thika Packaging is the exclusive distributor of Markem Imaje in the Middle East. Since 1994 Al Thika Packaging has been supplying traceability equipment, marking, coding printer and consumables for food, pharmaceuticals and beverage industries in Dubai, Abu Dhabi, Sharjah, Fujairah, Ras Al Khaimah, Ajman, Umm Al Quwain, Al Ain – UAE, Saudi Arabia, Bahrain, Oman and the many other Gulf countries. Thermal transfer technology combines a thermal printhead and a polyester ribbon coated with ink on one side. Heat transfers the ink from the ribbon onto the packaging film that is marked as it passes under the thermal printhead. The thermal printhead is made up of a row of independent tiny resistors mounted on ceramic support. 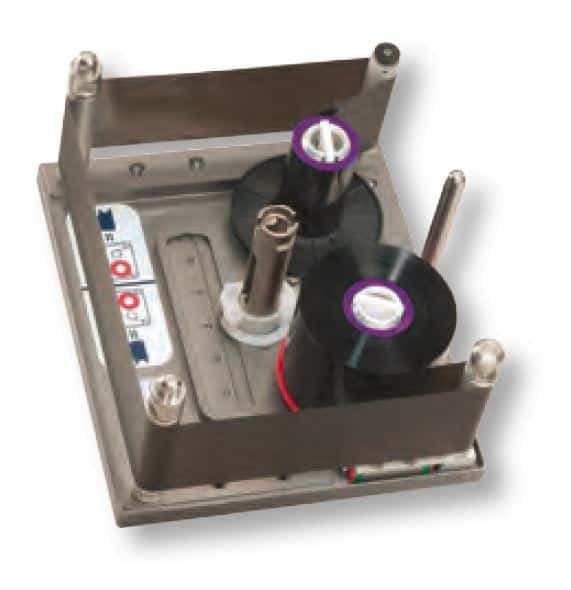 These resistors are then activated based on the characters to be printed, melting the ink on the ribbon and “transferring” the selected characters to the packaging film. A wide range of approved high quality thermal transfer ribbons for both flat and near edge printheads. All stored in our temperature controlled warehouse an Al Quoz Dubai U.A.E. Flexible packaging like flow-wrappers, bags, tray seals, pouches, sachets, vacuum packs or labels. Such as ULMA machines supplied by Al Thika Packaging.